This filling smoothie makes a great breakfast or meal replacement. Directions: Combine all ingredients in a high speed blender til smooth. Vitamin and mineral deficiencies can lead to all kinds of diseases and disorders, so it’s natural to want to guard against them by supplementing will pills and potions. However the absorbency of these vitamins and minerals is significantly lower compared to when they are obtained through food (or sunlight in the case of vitamin D). Instead of throwing away money on vitamins and supplements, it is possible to eat a varied plant-based alkaline diet and drink ionized alkaline water in order to render vitamins and supplements either minimal or unnecessary. The following is a rundown of some of the most common vitamins, minerals and supplements with suggestions on what to take and how as well as what you may not need to take and why. Calcium and magnesium are the most abundant sources of alkaline minerals in your body, and are largely found in your bones, teeth, muscles and eyes. Once your natural mineral reserves have been depleted through an acidic way of living and eating (typically around age 30-40), your body begins having to rob itself of calcium and magnesium in order to neutralize acids. Therefore it is important to always keep those minerals in reserve, but calcium and magnesium tablets are not readily bioavailable. You may have heard that the absorption of calcium can be blocked by certain things and thus should be taken separate from other supplements. This is also the reason cow’s milk is surprisingly NOT a good source of calcium–the phosphorus in the milk blocks the absorption of calcium and actually requires that calcium be pulled from your reserves in order to neutralize the acid! Fortunately most of us have hard water rich in calcium which can be made bioavailable with a Chanson water ionizer, thus rendering calcium pills unnecessary, provided you are staying hydrated with ionized alkaline water. If you are part of the 30% of Americans who have soft water, you can benefit from an Inline Mineral Remineralizer which will add calcium and magnesium to your water. Note that magnesium is actually needed to absorb calcium. Plant-based sources of calcium include: kale, soy milk, tofu, collard greens, and broccoli. While magnesium may also be found in your tap water and made readily available with a water ionizer, it is not as prevalent as calcium. Therefore we offer a magnesium remineralizer which distributes powdered magnesium into your water before ionizing it. Magnesium deficiency has been linked to every major disease and is therefore the most important mineral you can supplement. Plant-based sources of magnesium include: spinach, almonds, avocados, soybeans, brown rice, lentils, and cashews. Omega 3’s are vital to health, especially brain health. Oily fish is probably the best source of omega 3’s, but not an option for vegans and vegetarians. Therefore we recommend drizzling healthy oils like olive, flaxseed or a blend like Udo’s Choice on salads and wraps and in soups, and taking a flaxseed oil or fish oil supplement if necessary. Plant-based sources of omega 3’s include: walnuts, flaxseeds, chia seeds, soy products, hemp seeds, cauliflower, sesame seeds, and brussels sprouts. Because vitamin D is only found in acidic foods like meat, eggs and fortified cereals, both doctors conclude that daily sun exposure is the best form of vitamin D supplementation, and recommend about 10 minutes of sun exposure per day without sunscreen. Longer periods of time should be protected with a mineral sunblock and you should never allow your skin to burn. Vitamin C breaks down undigested matter such as meat in the digestive tract which improves digestion and promotes elimination. However, if you are following a well-rounded plant-based diet, vitamin C supplementation is completely unnecessary for two reasons. #1. You are not ingesting any meat that needs to be broken down, and #2. You are getting an adequate amount of vitamin C through citrus fruits. Antioxidants are necessary to fight free radicals which cause premature aging and contribute to disease. Those eating a well-rounded plant-based diet should be able to get enough antioxidants through diet, and ionized alkaline water is rich in antioxidants (3x more than orange juice), so installing a water ionizer in your home will provide you with all of the antioxidants you need. No pills or supplements necessary! Chlorella and spirulina are green algae “superfooods” that are popular on the health food market these days. Although they are packed with vitamins and minerals, Dr. Young strongly argues against these supplements because of the nature with which they are grown and the effect they can have on the body. Contrary to popular belief, protein does not build muscle, blood builds muscle, and the average American gets 7x the amount of protein they need. Even vegans and vegetarians are able to get adequate amounts of vegetable protein with a well-rounded diet and should not need to supplement with protein powder. If you insist on drinking a protein shake, make sure it is free of whey and made with organic soy. Plant-based sources of protein include: beans, seeds, lentils, tofu/soy, sprouts, almonds and dark leafy green vegetables. Don’t be turned off by this unusual combination. The banana naturally sweetens the smoothie, the avocado is very mild and the almond milk and almond butter round it out with a nutty flavor. This is a filling smoothie that’s a great way to start your day or enjoy in place of a meal. The fact that it doesn’t require a juicer or any pre-soaking makes it quick and convenient. Directions: Combine all ingredients in blender and enjoy within 12 hours. Did you know that magnesium is required for 300 processes of the body and that a magnesium deficiency has been linked to every major disease? Magnesium is an essential alkaline mineral needed by every organ in the body including your heart, muscles, and kidneys. There are over 200 published clinical studies documenting the need for magnesium, and 68% of Americans are magnesium-deficient. For every molecule of sugar you consume, it takes 54 molecules of magnesium to process it. You can increase your magnesium intake by including more whole grains, nuts, and green leafy vegetables into your every day diet. Another easy way to make sure you get enough of this essential mineral is to use an Inline Magnesium Remineralizer filter. This will automatically add magnesium powder to your drinking water, so that you don’t have to worry about it. If used along with a water ionizer, the magnesium will be made bioavailable (more easily absorbed by your body). Directions: Soak all produce in 8.0-8.5 pH Chanson alkaline ionized water for 10 min. Open pita pocket and spread hummus on each side. Fill with veggies and sprinkle with salt and pepper. Enjoy! Think water filtration or ionized alkaline water is new? It’s been around in one way or another since the beginning of time. Early man camped near water sources and collected naturally occuring ionzied alkaline spring water from streams, waterfalls, lakes and rivers using cupped hands, and later buckets and basins. Ancient Sanskrit and Greek writings recommended water treatment methods such as filtering through charcoal, exposing to sunlight, boiling, and straining in order to improve appearance of water. To clarify water, the Egyptians reportedly used the chemical alum to cause suspended particles to settle out of water, and also siphoned water through a series of clay pots. Egyptians and Greeks discovered that if they swirled and left water in copper and brass urns overnight, it turned sweeter (a mild form of ionization). The Roman Empire built an extensive aqueduct system, with eleven aqueducts serving the city. Sir Robert Bacon began experimenting with a form of sand filtration to remove salt particles from seawater. Anton van Leeuwenhoek became the first person to discover microorganisms in water. Domestic water filter units made from wool, sponge, and charcoal began to be used in individual homes. The first large municipal water treatment plant was installed in Scotland in order to provide treated water to every resident. Evian water company was formed and began selling the water in earthenware. Several cities began to treat all water with sand filters and chlorine before distributing it to the public after British scientist John Snow discovered that he could use chlorine to kill bacteria in water. The first desalination patent was reported, and the first land-based steam distillation plant was established in Britain. Municipal water treatment began to take hold in the U.S. 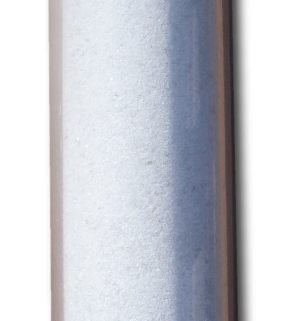 Rapid sand filtration is experimented with, along with cleaning filters with powerful steam jets. A rapid decrease in waterborne diseases is noted at this time. The first water ionizers are invented in Russia, designed to recreate what happens in nature when water runs over rocks–alkaline pH water with a low ORP (oxidation reduction potential). Water softeners, which use sodium ions to replace water-hardening minerals in water, were introduced into the water treatment market. Chlorine was used for the first time as a primary disinfectant of drinking water in Jersey City, New Jersey. The use of other disinfectants such as ozone also began in Europe around this time. Limited drinking water standards for municipalities in U.S. cities were implemented. Federal drinking water standards were widely applied in the U.S.
Fluoroide began to be added to the municipal tap water sources under the guise of preventing dental decay. The first residential water ionizer was developed and sold in Japan. The American government created and funded the Office of Saline Water to research and develop desalination technologies. The Reverse Osmosis (R/O) extreme water filtration method is invented by Prof Reid of the University of Florida. Industrial and agricultural advances and the creation of new man-made chemicals had negative impacts on the environment and public health when they began finding their way into water supplies through factory discharges, street and farm field runoff, and leaking underground storage and disposal tanks. Heinz Hankammer began production of the first Brita filter under a pear tree in his family’s garden. Perrier introduces carbonated bottled water. The Clean Water Act became law, requiring industrial plants to proactively improve their waste procedures in order to limit the effect of contaminants on freshwater sources. The Safe Drinking Water Act was adopted by all 50 states for the regulation of U.S. public water systems. This law specified 91 pollutants that must be closely monitored (out of more than 60,000). 500 million gallons of bottled water are sold in the US. U.S. annual sales of bottled water spurted to 1.8 billion gallons. Municipalities begin to increase chloramine (chlorine + ammonia) usage as a disinfectant in tap water. Almost 36 billion plastic water bottles are sold in the U.S.
Bottled water consumption remains at an all-time high and municipalities continue to add harmful chemicals like chlorine, chloramine and fluoride to the drinking water. Most water filter owners are either over- or under-filtering their tap water, and water ionizers remain virtually unknown outside of Asia despite their proven health benefits. What is wrong with this picture? Take advantage of the technology our era has afforded us and say goodbye to unhealthy and expensive bottled waters and hello to fresh filtered Chanson ionized alkaline water. Soak all produce in 8.0-8.5 pH Chanson alkaline ionized water for 10 min. Juice produce into a 10+ oz. container with a lid and dilute with 9.5 pH Chanson ionized alkaline water. Shake, and enjoy within 8-12 hours. Around this time of year, many people seem to be dropping like flies, succumbing to colds and flu’s and retiring to their beds for a sick day (or several). Perhaps you have already been one of them, or have been avoiding sick friends, coworkers and loved ones in order to avoid joining their ranks. Louis Pasteur’s germ theory–which was developed in the 1800’s–is that germs and viruses from external sources infect our bodies, which is why quarantines were so common back then. However, Dr. Robert O. Young has a new theory, which is that disease can only thrive in an acidic environment, and that those who maintain an alkaline environment in their bodies–through what we eat, drink, do, and think–can safeguard against ANY illness or disease. So your co-worker can cough and sneeze directly in your face and, so long as you are properly alkalized, you don’t have to worry about getting sick. Your immune system is your biggest shield against illness and disease. We all know that our immune systems can be lowered through lack of sleep or a lack of nutrients, so why is it so difficult to accept that our diet and lifestyle dictates our likelihood of becoming sick? Most of us are overly acidic. We eat too much junk and processed foods, do not stay properly hydrated, run on too little sleep, aren’t exposed to enough sunshine and fresh air, slather our bodies and “clean” our homes with toxic chemicals, are highly stressed and exercise too little. Each and every one of these things contributes to an acidic environment, and doing the opposite helps to create an alkaline environment that is resistant to illness. Many of the cold and flu remedies we’ve been taught to turn to like chicken noodle soup and orange juice are actually acidifying to the body. So are all medications, including the flu shot, which we do not advocate due to its low success rate and harmful ingredients.